Officers are seeking the public’s help to find a 14-year-old Margate girl who went missing a week ago. Natalie Louise Cross was last seen in the early hours of 27 January getting on a bus in Cecil Square, Margate on her way to school. Natalie’s mother and police officers are extremely concerned for her welfare, as she is young and vulnerable. 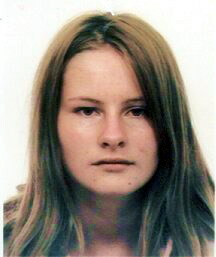 Natalie is white, 5ft 2in tall, of medium build with brown shoulder-length straight hair and was last seen wearing her Hartsdown Technical College uniform – a black blazer and trousers with a white shirt. Natalie was found safe and well on Saturday afternoon. She has been returned home. Kent Police would like to thank the media for their support and assistance in trying to locate her.